It's A Dan's World: THE FOUR-CAST: Will A More Global Fantastic Force Strike This November? THE FOUR-CAST: Will A More Global Fantastic Force Strike This November? While the crux of the Fantastic Four has always been 'a family of four against the fantastic', the originals have some pretty powerful friends that could easily step together to help out, should they need it. 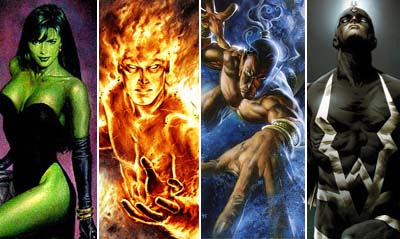 And when we're talking the likes of She-Hulk, Namor, Black Bolt, Black Panther and Crystal this ain't no B-squad either! 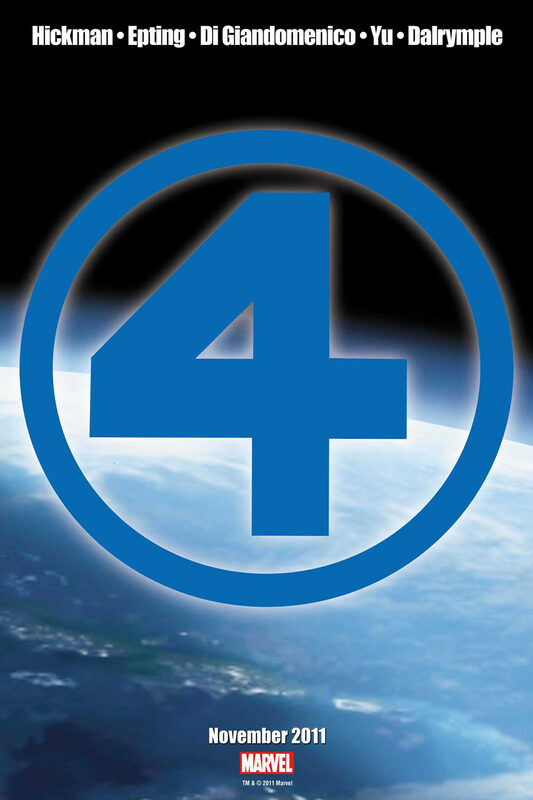 Today's teaser of '4' from Marvel Comics suggests November will bring an event of global or even cosmic scale to the franchise. A spin-off title of the Fantastic Four's current popularity could easily be the go - especially if tied on to the rebirth of deceased mainstay, The Human Torch. A team that could mix the likes of Gladiator with Luke Cage and Lyja Laserfist is hard to ignore, however the fact the teaser's taunted creative team features one writer (Jonathan Hickman) and three artists (Steve Epting, Farel Dalrymple, Leinil Francis Yu and Carmine Di Gianomencio) also lends itself to four individual specials on various parts of the four universe, celebrating the franchise's 50th Anniversary. 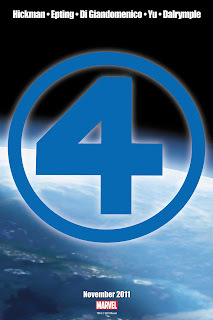 What do you think of the '4'? i have so many things i'd like to say about that She-Hulk illustration but none of them would even be close to being appropriate for IADW. use your imaginations everybody. I agree with David, That She-Hulk pic is hot!!!! She-Hulk has inbuilt hotness, it's just part of her character - but some pictures nail it a bit more than others don't they! any team with She Hulk is a first string crew in my book. Fantastic Four get an anniversary and She-Hulk in a black dress steals the show - sure;y reactions like this must show Marvel Jen done right still has a savage hold on the hearts of fans. She has with mine since Bryne's Fantastic Four, and my first Hulk comic!